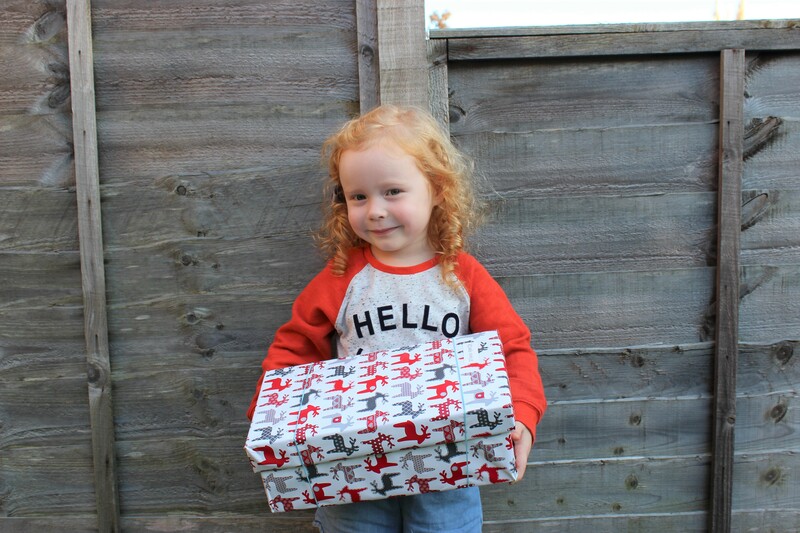 Each Christmas for the past three years we have donated to our local homeless shoebox appeal. It’s become a little tradition and one that we really enjoy. Teaching our children about the importance of charity is something that is really important to us, and especially at Christmas time. 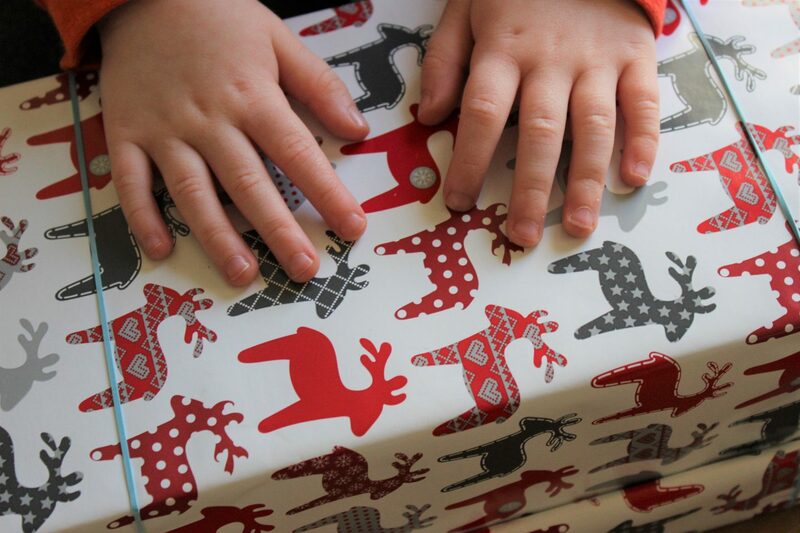 It’s very easy for children to get wrapped up in their own little world and think about nothing but the pile of presents that will be waiting under the Christmas tree for them on Christmas morning. Not that there is anything wrong with that, they are just kids at the end of the day but I feel that Christmas is a good time to talk to them about other people that aren’t as fortunate. I want the kids to understand that we are lucky to have what we have and that there are lots of people out there that aren’t so lucky. 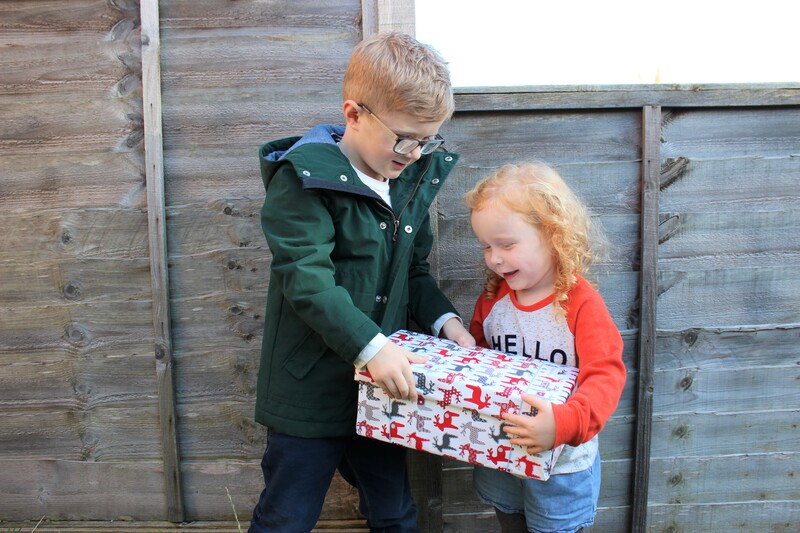 The Sheffield Homeless Shoebox Appeal is where we make our donation each year. It’s is a donation of a shoebox filled with a few useful products, a thoughtful gift to a perfect stranger. Christmas is a time that is full of joy, hope and love….but, not everyone has to opportunity to feel this way. For some, Christmas is a time full of sadness, isolation, depression and, unfortunately for some, it is a time when they are no longer able to cope with life. 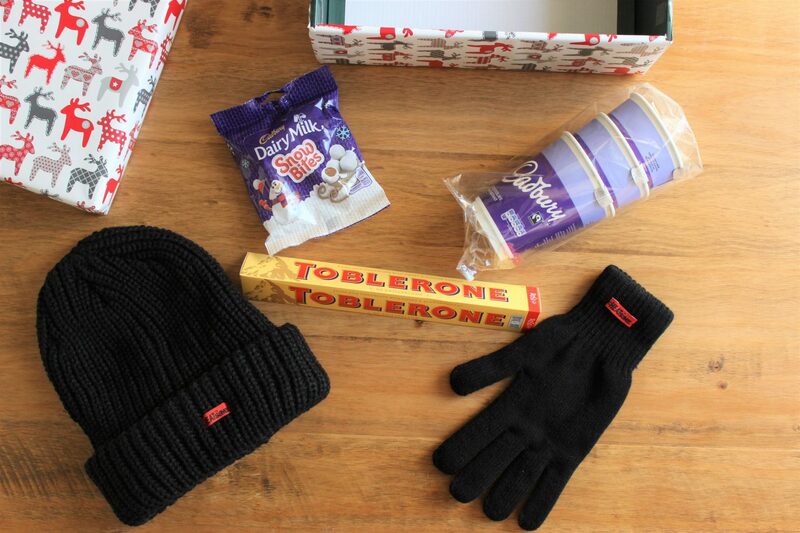 In this years shoebox we donated gloves, a hat, a Toblerone, hot chocolate and some Dairy Milk Snow Bites. Only little things that may not be that important to you and me, but to someone without a family or a home this could really make their day. I like to include practical items such as a hat and gloves, I think it helps the children to understand that they are helping someone to keep warm. There are lots of ways that you can donate to charity this Christmas, you will most likely have some sort of Christmas gift charity appeal in your local area. But if not, you can always making a cash donation to your favourite charity. Do you do anything like this at Christmas? Is it important to you to teach your children about charity? 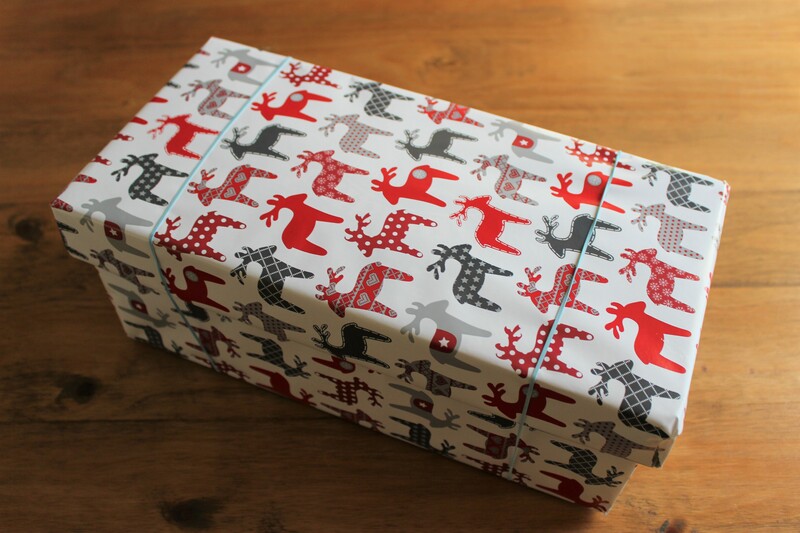 I think I’ll start doing this with my son – I know he’d enjoy wrapping a box for someone else.